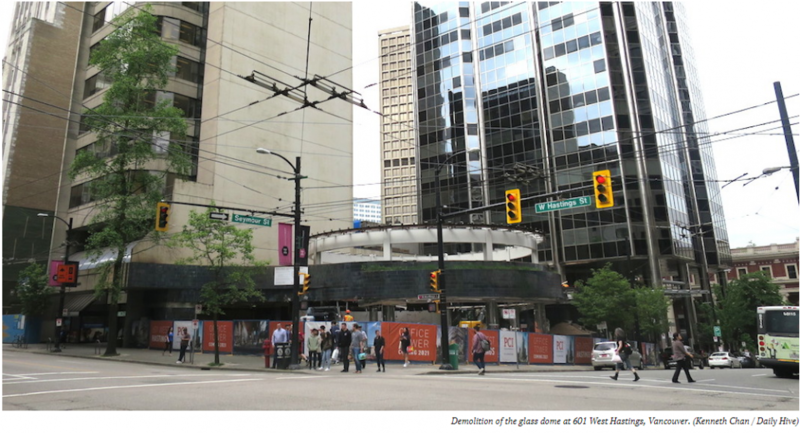 Demolition work on the glass-domed plaza, a part of the adjacent Princess Building, at 601 West Hastings Street is quickly progressing. 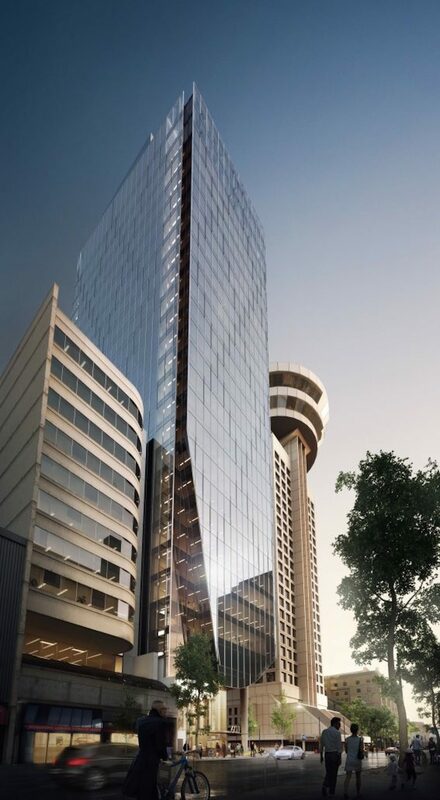 The 353-ft-tall redevelopment by PCI Developments calls for 224,085 sq. ft. of office space and 3,629 sq. ft. of ground-level retail space for a total floor area of 227,714 sq. ft. With a property size of 9,354 sq. ft., the project has a floor space ratio density of 24 times the size of its lot. 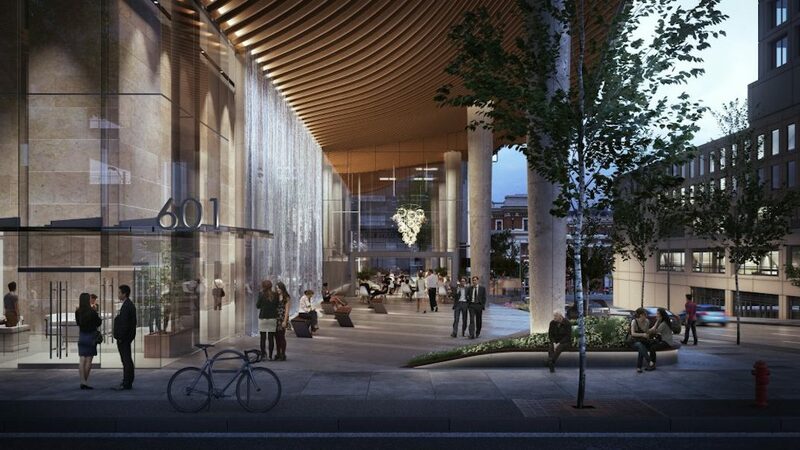 A significant exterior overhang with a high ceiling within the base of the tower provides a replacement 8,200 sq. ft. public plaza, which features a wall of water. Despite the small lot size, the project team is still able to squeeze in five levels of underground parking with 100 vehicle stalls and 78 bicycle spaces. Construction is anticipated to reach completion in mid-2022. 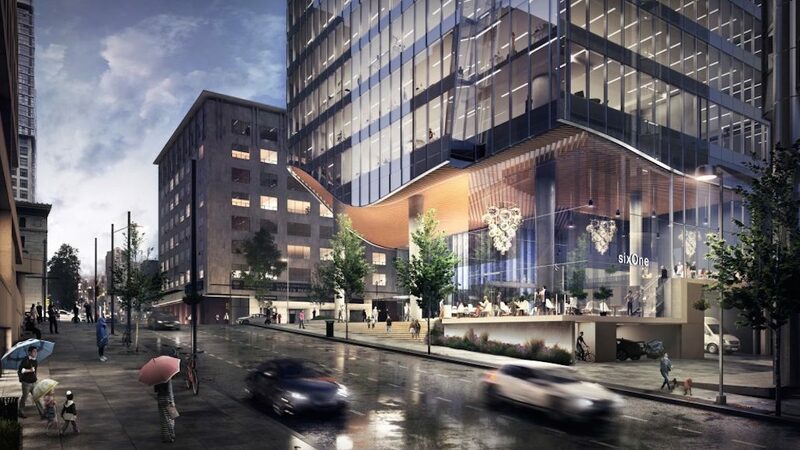 This redevelopment is just one of three towers slated for the immediate area. 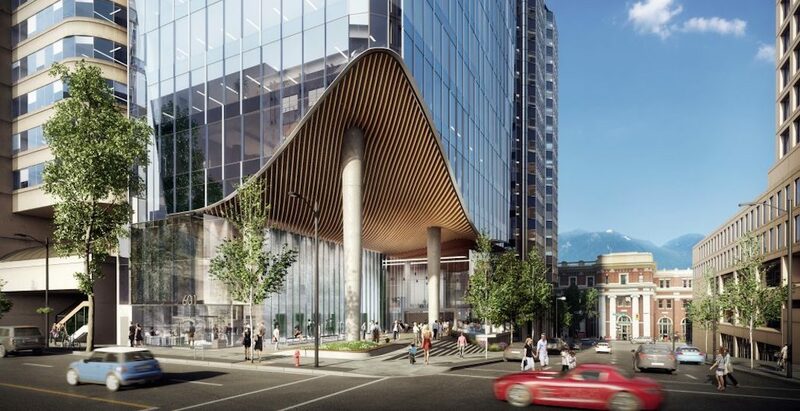 Just 40 feet to the west at 625 West Hastings Street, located on the same city block, a 28-storey office tower is proposed to be wedged between the 1930-built Royal Bank building and a smaller office building. On the opposite corner of the city block at 320 Granville Street, the old parkade across from Waterfront Station is currently being demolished for a 355,000 sq. ft. office tower. 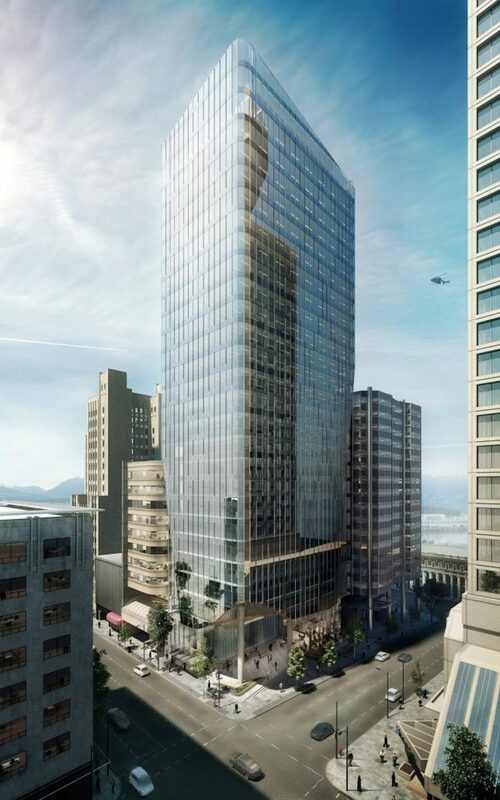 And a revised design has been made for the proposal to build an “origami” inspired tower at 555 West Cordova Street next to Waterfront Station.